We spent most of last weeks chapter in the middle of England. This week as we continue with our unknown artist’s travels we journey north to Morpeth and then south to Gloucester and Worcester. 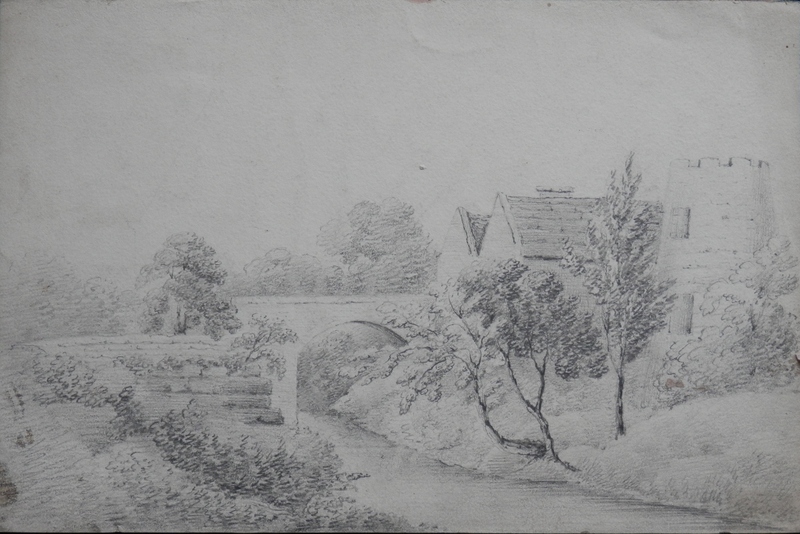 Again all drawing are from around 1850. We begin at the ruins of #NewminsterAbbey near Morpeth in Northumbria Here stands the remains of a long past Cistercian abbey which once owned lands all the way to the Scottish border. Although a protected site there is no public access since it is privately owned. If we travel into Morpeth we come to St. James the Great Church. It was constructed to facilitate the attending services. 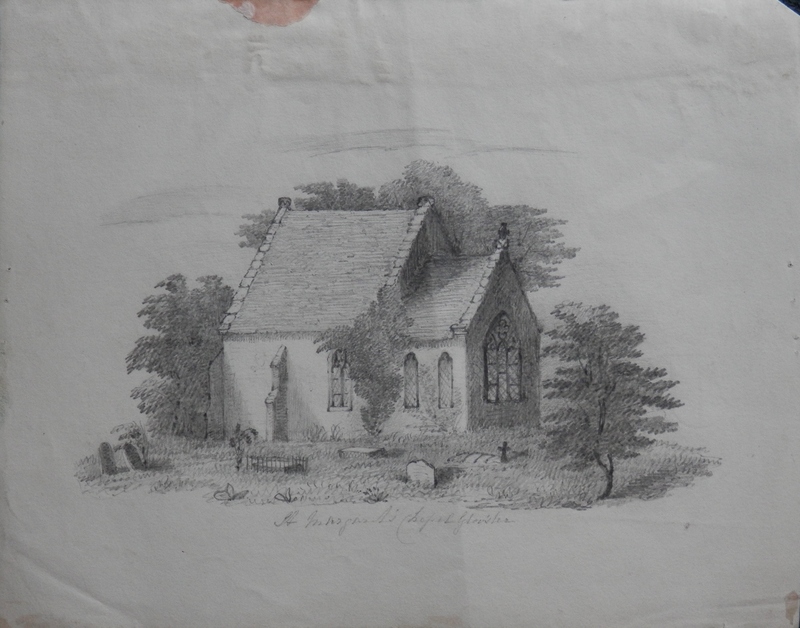 The foundation stone was laid in 1844 and the building was completed in 1846 overseen by the Hon. & Rev. Francis Grey the Rector of Morpeth. In 1537, the lands owned by Newminster Abbey were leased by the Crown to the Grey family who used many of the stones for their own buildings. Possibly the fore-bearers of the Reverend Grey. A full bell peal was planned but abandoned which allowed lantern windows to be added which give St. James a light and airy feeling. 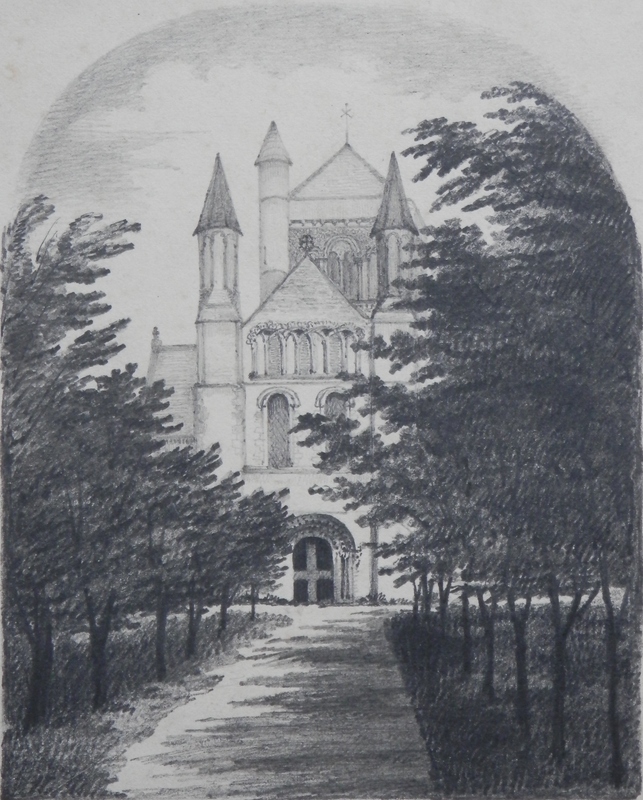 The small but lovely #St.MargaretsChapel,Gloucester was part of a monastic body set up outside the medieval city boundary to benefit those suffering from leprosy – then incurable. As with St. Mary’s Church last week we see the graves of parishioners near to the church with headstones askew. A very rare and fine example of a medieval hospital chapel. And if we travel a little ways north we come to Worcester. 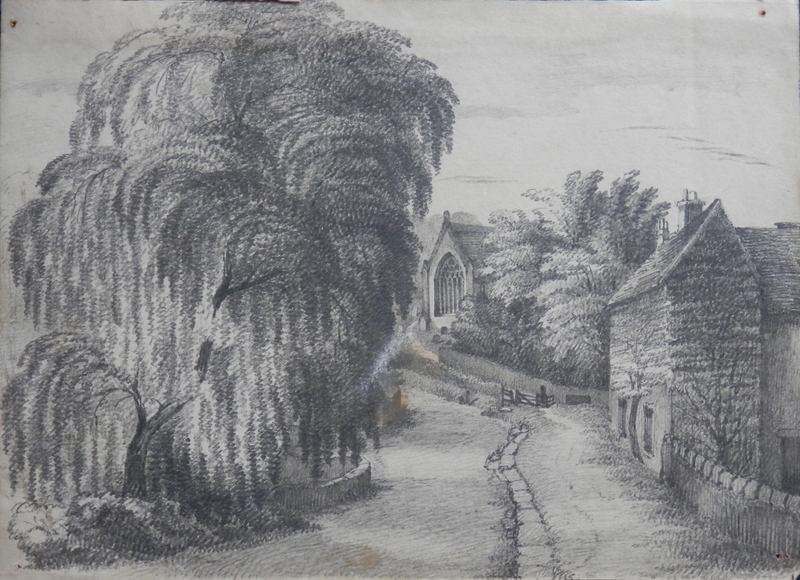 The drawing from 1859 shows the #GheluveltWaterTower which stands on the Brabourne brook. The tower seen here no longer exists but the rest of the pumphouse buildings remain and are now an environmental centre. Cholera outbreaks in the early nineteenth century were blamed on the quality and availability of the water. So a sophisticated waterworks was constructed at Barbourne in 1857-8. It was designed by Thomas Hawkesley, the greatest authority on municipal water supplies. 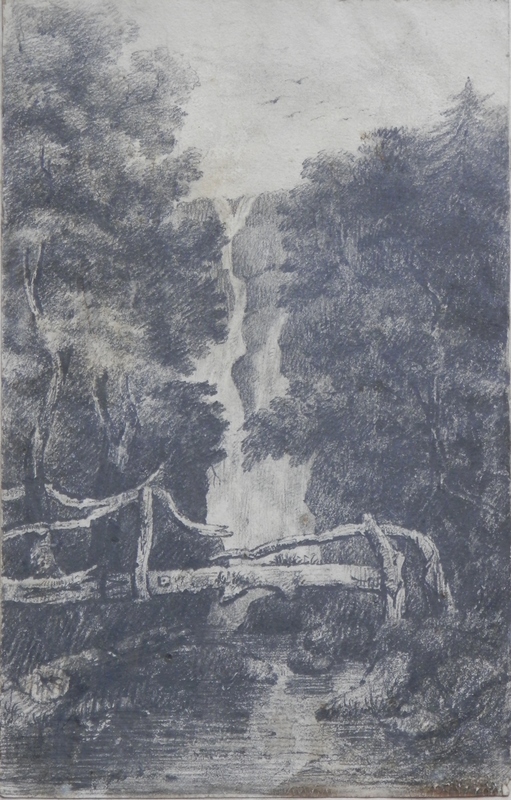 To finish, I will leave you with two drawings which are untitled so I do not know where they are located. I hope you have enjoyed our travels with our unknown artist-guide to places historical and artistic. 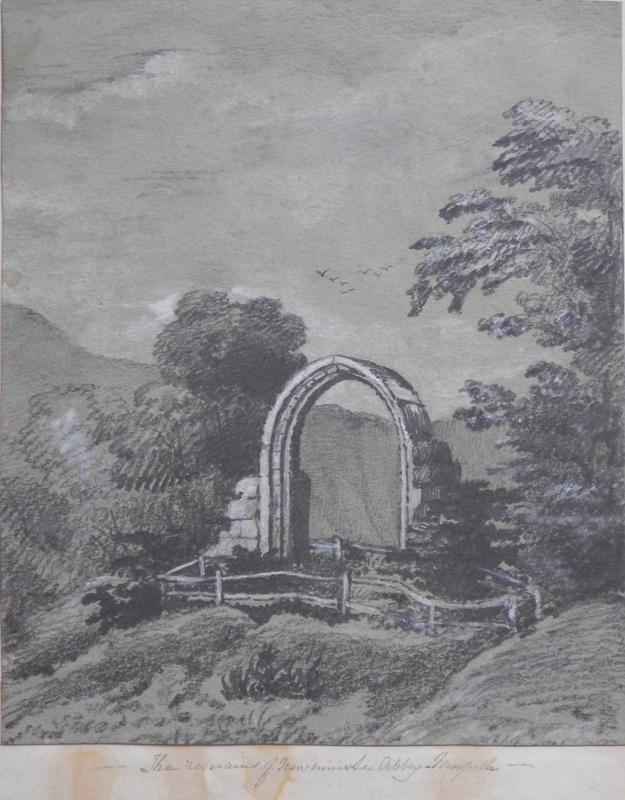 This entry was posted in Drawings and Sketches and tagged churchchapel, Gloucester, Northumbria, pump house, ruins, water tower, waterfall, willow, worcester. Bookmark the permalink.